Kate Middleton and Meghan Markle may soon start wearing Princess Diana's jewelry, according to an expert. Now that Prince William and Prince Harry are both married, one expert thinks that the duchesses will start wearing their mother-in-law's collection. Middleton and Markle have access to Queen Elizabeth II's vault, but they are expected to wear Princess Diana's collection more often. The late Princess of Wales' diamond and sapphire collection has mostly remained hidden for decades following her death. 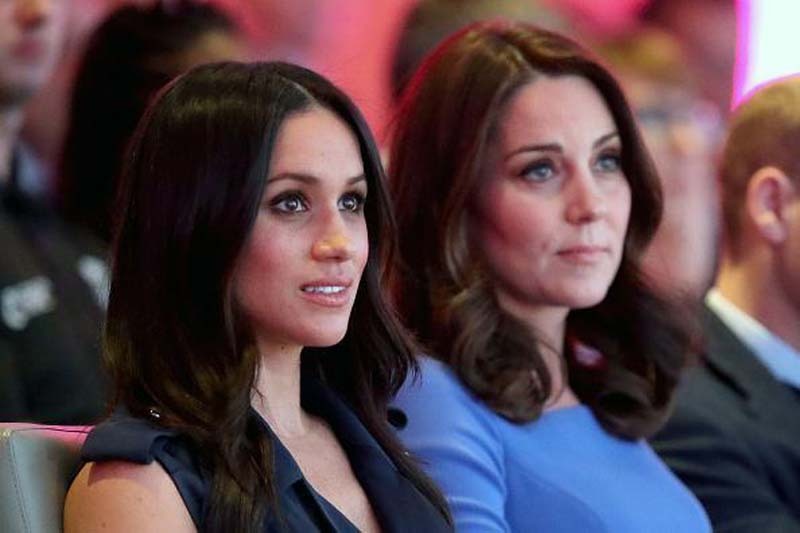 But the accessories are expected to resurface and may be divided between Markle and Middleton. "It wouldn't surprise me if they kept back the lion's share of jewelry until both of the princes were married so that they could split it," jewelry expert Ella Kay of The Court Jeweller told Good Housekeeping. "Harry hadn't needed it so far but I can imagine them saying, 'We don't want Kate to start wearing it all' because there would be nothing left [for Harry's wife]." However, Kay couldn't tell the exact pieces to expect from Princess Diana's collection. "The royal wills are all sealed," Kay explained. "They're not made public so we don't know who exactly got what or what happened to it." According to Grant Mobley, a gemologist and director at Pluczenik, Princess Diana loved pearls and diamonds. "The Princess was very fond of a pearl and diamond bracelet featuring a large emerald cut aquamarine that she was given in her early years as a princess and, after her divorce, she commissioned this matching ring to be made," Mobley explained. "Diana's taste in jewelry was impeccable and the fact that she commissioned this ring to be made is a clear testament to her taste." Middleton has been seen wearing different accessories from Queen Elizabeth II's vault. In fact, she wore the monarch's diamond Quatrefoil bracelet when she attended the Anna Freud National Centre for Children and Families (AFNCCF) gala on November. The Duchess of Cambridge also wore Queen Elizabeth II's pearl-diamond choker in November for the Queen and Prince Philip's 70th wedding anniversary. Princess Diana was also seen wearing the same piece for a state banquet for the Netherlands in 1982. Meanwhile, the Duchess of Sussex has a vast collection of sparklers worth $1.3 million. According to Daily Mail, Markle's jewelry collection includes her engagement ring, Cartier bracelet and $8,000 earrings that she received as a pre-wedding gift.